Longenecker and Still have stimulating section on the “righteousness of God” in Romans (Thinking through Paul, 174-7). 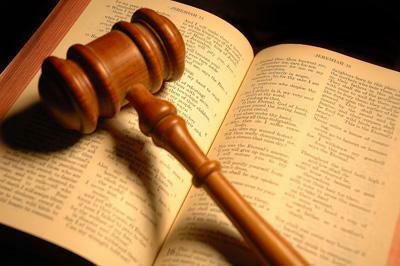 Prior to the Reformation, the phrase referred to the justice of God and his righteous judgment of sin. Think of the Renaissance paintings depicting God as a fearsome judge presiding over the judgment of sinners. After Martin Luther, however, the definition of the righteousness of God was expanded to include God’s graciousness and gift of mercy give to those who believe. Rather than the “justice of God” punishing sinners, justification referred to a gracious act of God by which he imputed his righteousness to those who have faith. This is the sense of justification has dominated systematic theology as well as Pauline studies since the reformation. In fact, “justification by faith” is usually made the “center” of Pauline theology. This emphasis led to the unfortunate result of anti-Judaism in biblical studies. First-century Jews become proto-Pelagians and Paul is similar to Martin Luther bashing the Roman church. Judaism was often described as the antithesis of Paul’s (Gentile) Christianity. Paul’s theology developed out of Paul’s personal struggle against Judaism. While this is very preachable, it may not accurately describe Paul’s thinking with respect to the righteousness of God and how that righteousness is applied to the sinner. Ernst Käsemann argued the “righteousness of God” refers to God’s sovereign activity over all of creation (TTP, 175). More than only saving individual sinners, the righteousness of God that is being revealed in Romans 1:17 is a redemption of all creation. It is not simply that God imputes righteousness to the believer, but that God is ultimately faithful to his promise to redeem creation. This coheres well with the narrative shape of Pauline theology, according to Longenencker and still (176). Just as God revealed his righteousness by remembering his covenant and redeeming Israel in the past (Ps 98:1-3), so he now reveals his righteousness buy redeeming all of creation through Christ Jesus. In the Hebrew Bible, this meant God kept his promises to bless Abraham’s children even though there were unfaithful. He kept his promise to Israel even though they were unfaithful to the Law. In the present age, God is still faithful in keeping his promise to redeem people from slavery to sin despite their longstanding rebellion against God. This faithfulness of God is sometimes described as “steadfast love” (חֶסֶד, Ps 98:3, for example). Is this a better way of understanding the “righteousness of God”? It seems to resonate with what Paul says in the rest of Romans, but does it stray too far from “personal salvation”? Perhaps there is a danger in over-emphasizing the action of God for all of creation and missing the “call to salvation” the Gospel offers to individual sinners. It is also possible Evangelical Christianity has so over-emphasized personal righteousness in salvation that we have missed Paul’s point: it is God’s righteousness that is demonstrated in his offer of salvation. Certainly Paul is talking about the problem of our sin, but the emphasis is on the sovereign God who solved that problem because he is a righteous judge. “Perhaps there is a danger in over-emphasizing the action of God for all of creation and missing the “call to salvation” the Gospel offers to individual sinners. This is an interesting post to read about. The righteousness of God seems to be taken in different ways that I never realized. Romans 1:16 talks about the righteousness of God referring to all people and not individualistic. It may seem that this thought could take away from personal salvation, but at the same time shows that God has love for all people and would love for all people to be followers of Jesus Christ. “…it is the power of God that brings salvation to everyone who believes” (Romans 1:16). This could take away from salvation being personal and being ones own salvation. To think about it not being because you decided, but because God’s power worked in your life, can make you think differently about your salvation. I like thinking of it this way because it takes away the thought of being able to do it by yourself. We can’t save ourselves, it is by the power and the grace of God that we are saved. So, it may stray away from personal salvation, but why would that be a bad thing? Longenecker talks about how this gift of salvation can be seen as a reward, but not because of our works. Many people take it as we are rewarded because of the things we have done, but in that instance it had to do with Abraham and how he was given the reward because of his faith. Abraham believed God to be the one who gives life to the dead and calls into being thing that were not (Romans 4:17), and that it was by the power of God that Jesus was raised from the dead(TTP 181). It was all by God, not by anything that anyone else can do. I really like your take on the post and your theme that we cannot save ourselves. We do make a choice when we follow Christ, but it is not ourselves that save us, but God. Just as good works are not our key to salvation, it is not what WE do that saves us, but God (Ephesians 2:8-9). It is through Christ that we have peace with God, not by what we do (Romans 5:1). Jesus atones for all our sins that are in the grip of the “power of sin” (Longenecker and Still emphasize that Paul was referring to the sins of both Jews and Gentiles, not one or the other) (TTP, 180). It is a task impossible for us to do alone, and it is only by grace that we are saved. Paul describes the unrighteous acts in chapter 1 and then goes on to describe “God’s righteous judgement” in the next chapter (Romans 2:5). Kasemann’s explanation of the righteousness of God makes a lot of sense Longenecker describes it as “God’s powerful saving activity” (TTP 175). The Righteousness of God encompasses more than just right standing with God. This idea is expanded upon in chapter 8. Paul describes that because of this righteousness of God the believer can have life through the spirit (Romans 8:10). Righteousness being what differentiates the believer from the unbeliever. If the believer is righteous before God on account of faith in Christ (Romans 4:24) then we can understand that the righteousness of God is somehow involved in the identification of a believer. Again in understanding God’s plan we can see that God intends to restore all of creation to it’s rightful state (Romans 8:20-21). Thus we see that sin leading to death (Romans 6:23) results in God’s righteous judgement (Rom 2:5). Because of this righteousness the believer has life (Rom 8:10) and God’s plan is to save not only people but also creation (8:20-21). So Kasemann’s understanding of the righteousness of God as being God’s saving activity rather than specific to sin alone aligns well with Paul’s demonstration and application of the righteousness of God in the context of Romans. God’s righteousness is how we understand His sovereignty over everything including his plan of salvation. In my opinion, each period of thought does not fully capture the “righteousness of God.” I believe that the righteousness of God refers to His very character. As is evident in our own human characters, we know that one trait does not fully define a person. God’s righteousness refers to His justice in dealing with sinner, His grace in providing salvation, and His work in the grand scheme of the earth and throughout history (TTP 174-77). I do not think Kasemann’s idea of God’s intervention in history strays too far from personal salvation, in that God’s intervention is what has provided us with salvation, such as through the death of His son (John 3:16). At the same time, however, I do think that there is a danger in overemphasizing and qualifying “personal salvation” as a prerequisite to defining the righteousness of God. Yes, God sent His son for every person on earth, but really I do not believe in the emphasis of that. He sent His son not only for you individually, but for all of mankind, past, present, and future. I think Evangelical Christianity has overemphasized personal righteousness in many ways (aka legalism), possibly because of the influence of an individualistic society, and missed the point that it is God’s righteousness that is demonstrated in salvation. I have never thought about the fact that some people believe that the Righteousness of God is given to us simply because He is keeping his promise to redeem creation. This belief seems to completely take out our own personal belief and substitute a form of predestination that takes place when God makes the promises that He makes with Abraham, Moses, etc… I personally believe that God is righteous because he is a Just God that deals with the sinner and providing Grace for us. If God were only Just, then what is fair is that we should all die for our sins. The fact that God is Righteous and Just together shows the Grace that he gave so that those who believe in Jesus and what he has done for us can be with God for eternity in heaven. Abraham had faith in God and He counted it as righteousness to him. Us having faith in God and being obedient shows how righteous he is that he would count our faith as righteousness to us. I believe that when Paul talks about the “Righteousness of God”, he is talking about the character of God. When Paul talks about how because one person everyone became sinner, and how through Jesus everyone gained the Grace to live without sin, that reminds me of the righteousness of God that Paul is talking about. Which can be viewed as personal salvation, but also englobes general view. When talking about righteousness, God is just to everyone, not just some. When Paul brings Abraham to the picture, he used Abraham as an example of someone that had faith and received his reward for that. That is an example of a personal salvation, but that can be reached to everyone. Käsemann has good thoughts, but I still believe he is incorrect. Why else would Paul and other apostles go out to the world, going as far as risking their lives, to teach the gospel- when in the end, God will save them either way. It is a personal salvation, not for even those who do not even believe in God. There are “those who live according to the flesh” and “those who live according to the Spirit” (Romans 8:5). I don’t think this verse goes along with what Käsemann says about God redeeming all of creation. It is a “free gift of eternal life” but we must accept the gift from him (Romans 6:23). I also think it is crazy to think that the Roman church during the Renaissance thought the “righteousness of God” was just God punishing sinners, considering Paul talks about the Gospel throughout all of Romans, saying we can have eternal life because Jesus died for us- no strings attached! “Paul’s gospel is that righteousness comes graciously” (TTP 183). It doesn’t mean we don’t have to sin all willy-nilly because it makes “God’s reputation as one who overflows in graciousness” (TTP 183). Of course not, even Paul gets mad that they saw it as a license to sin. Because they believe and love God, they should want to be good people, Paul tells them. The “righteousness of God” does mean mercy and grace, but Christians should not want to sin relentlessly because of it. It is unfortunate that the expansion of the biblical definition of justification led to partial anti-Judaism in biblical-studies. It is evident to me that the view is in part due to a misinterpretation of Judaism to be a legalistic ‘works for salvation’ religion. Some Jews did live in a state of religious ritualism, including those talked about in Phil. 3:2 who are called “mutilators of the flesh” for circumcising themselves, thinking that it would make them righteous. However, Jews in that time could have well viewed the covenant actions as the identity of one living in the covenant. They were God’s chosen people, so living the covenant would not impute righteousness, but show that they were ‘in’ the covenant. In the same way that James 1:19 and 2:14-24 where faith and works are one in the same. “What good is it, my brothers, if someone says he has faith but does not have works?… You see that a person is justified by works and not by faith alone. The concept is simultaneously complex and simple. Works do not achieve righteousness, however it shows the true identity of believers. As far as Käsemann’s view that God’s righteousness is His sovereignty is His “sovereign activity over all creation” could be debated. It is evident to me that it is the power of God to draw men to Himself for the good of all creation. According to Longenecker, “the righteousness of God” connotes God’s active sovereignty over the whole of his cosmos, as evidenced in acts of power whereby he invades the created order to set it right” (TTP, p. 175) It seems evident that humans cannot create righteousness within themselves, but that God does it through their willing spirit to serve Him. The difference between Luther and Käsemann’s view is that Luther focused on the individual, and Käsemann focused on God’s sovereignty, which in itself is not a bad thing, but is God working through people and not necessarily arbitrarily commanding them righteous. This comes by action through faith (accepting), but is not to be confused with actions (religious ritualism) for the receiving of salvation. God works in the individual and the acting out in faith, like Abraham and the example in James, it is counted to them as righteousness.